Y.G. Srimati and the Indian Style at the Metropolitan Museum of Art. Y.G. Srimati was born in Mysore, India, in 1926, on Ganesh Chaiturthi, an annual festival. Her family initial, Y.G., was an honorific title granted by the Maharaja of Mysore to her grandfather, the chief astrologer of his court. Unlike most family initials in South Indian families, it has been passed down to her generation and the next. Tragically, Srimati’s grandfather died when her father was one-year-old. Relatives seized her family’s land and married her father off at the age of six, essentially disinheriting him. Her father swore to care for and provide an education for his children. He never contested his legacy. Srimati studied dance as a child at a time when only devadasis, “slaves to the lord,” perceived as disreputable under British rule, danced. Srimati gave her first performance at the age of seven. Her father also died young, but her brother, Y. G. Doraisami, nurtured her talents with lessons on the vina, a stringed instrument, and in North and South Indian vocal music. 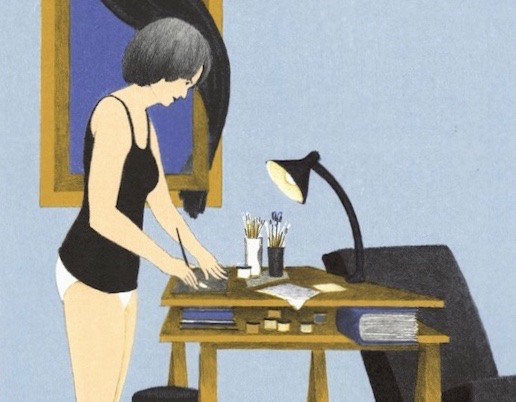 By the time she was in her early teens, she started to paint. Her brother collected art and was a sponsor of performing artists, their home a short walk to the Government Museum, Chennai. Clearly Srimati was an astute observer of all the art in the temples of South India. There was art all around her. Srimati’s painting became a devotion. She did not want to sign nor date her work. When visitors came, it was her elder brother who displayed her paintings and expounded on the meaning of images inspired by ragas, dance poses, deities, and mythological tales. In 1952, at the age of 26, she inaugurated the opening of Centenary Hall Madras Museum with her first exhibition. She was subsequently invited to New Delhi, in 1955, for another one-person exhibit. The result was national recognition. Visitors to South India from abroad noticed the quality of her work, and in 1959 dancer and author Beryl DeZoete invited her to England. There, Srimati taught classes, gave concert performances, recorded for the BBC, accompanied noted dancer Ram Gopal, and had exhibitions. She survived with her talents and became adept at speaking about her music and art in her own voice. By the end of 1960, her brother forwarded to her a letter from the New York publisher George Macy Companies, who offered her a commission to illustrate the Bhagavad Gita for their Limited Editions Club. She felt that the philosophical nature of this treatise compelled her to return home to research and consult with sadhus (holy men) in order to immerse herself in the task. Upon completing the commission, Srimati was invited to New York. She journeyed from Madras to Cochin and boarded the cargo ship Destiny with a crate of her paintings and her collection of instruments, including her treasured vina. Arriving in the United States with less than eight dollars, she lived briefly with friends and shared apartments. She then made contact with the artist Phillip Reisman, her brother’s correspondence friend, who contacted Harry Sternberg, a printmaking instructor at the Art Students League. Harry presented her cause to League Executive Director Stewart Klonis who awarded her a Board of Control Scholarship to study printmaking. She attended classes at the League from 1964 to 1969. 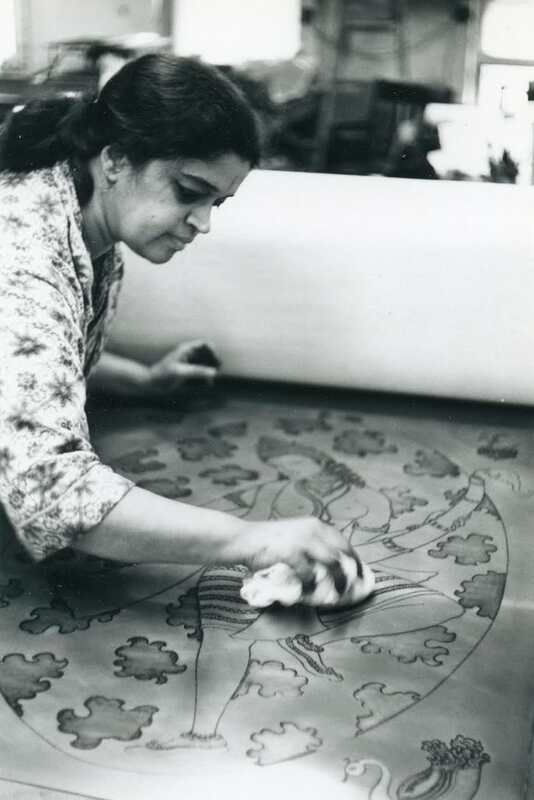 From 1963 through the 1980s Srimati supported herself with commissions, exhibitions, and private instruction. She completed another set of illustrations, again for the Limited Editions Club, to accompany The Panchatantra, which is based on animal tales from Kashmir. She also toured nationally for the Association of American Colleges, exhibiting her paintings while giving concerts and lectures. Michael Ponce de Leon replaced Sternberg as Srimati’s instructor at the League in 1967. He was also serving as a representative of the Smithsonian’s International Arts Program (IAP). After reviewing her monumental watercolors commissioned by Bonwit Teller, he selected Srimati to create a print representing India on the theme of peace for a peace conference in Geneva. 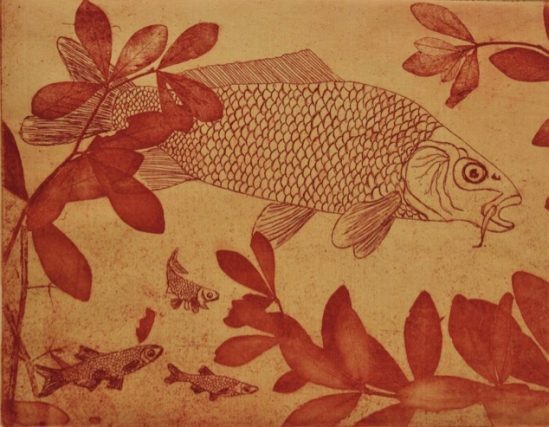 Her print was large—40 x 30 inches—and had to be completed within twenty-four days. 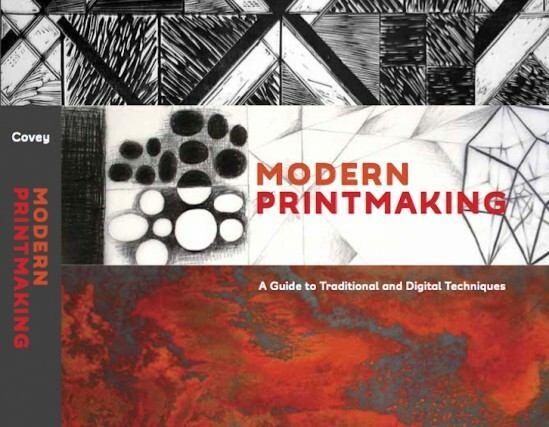 Srimati threw herself into this task at Robert Blackburn’s printmaking work- shop, where she and I worked daily until its completion. At the workshop, we met Roberto De Lamonica who was working on the same commission to represent Brazil. Another commission for Srimati came through Art Students League president Walker Everett. It was for a set of illustrations for IBM’s Think magazine. Throughout this time, Srimati continued to paint, teach, perform, and exhibit. In 1992 she participated in a retrospective exhibition Sternberg and His Students, co-curated by the League’s Executive Director Rosina Florio and myself. After Srimati died, in 2007, her friend Stewart Warkow, former manager of Carnegie Hall, reviewed her artwork and collection of Indian musical instruments. Both impressed him. He suggested that the Metropolitan Museum might be interested in her rare instruments. Kenneth Moore, a curator in the Department of Musical Instruments, was also impressed with the instruments and expressed a desire to acquire several for the Met’s collection. 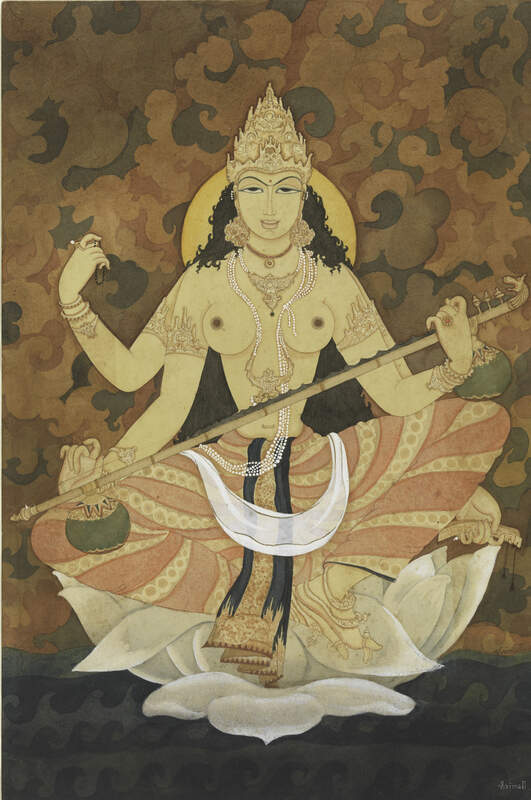 As was so typical of Srimati’s life, the inter- relationship of her music and art proved to be the conduit through which her paintings also came to the Met. Through Kenneth Moore’s contacts, the Met’s curator of Indian art, John Guy, began the process of acquisition, planning, and exploring with me the possibility of an exhibition of Srimati’s paintings. 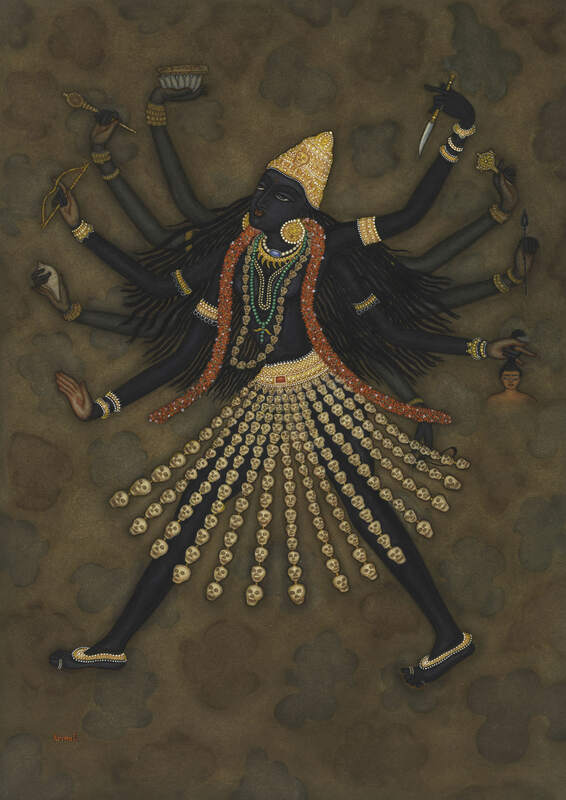 Two of her paintings were exhibited, in 2011, as part of their exhibition Mother India: The Goddess in Indian Painting. My conversation with John Guy has culminated in the current one-person exhibition An Artist of Her Time: Y. G. Srimati and the Indian Style, on view through June 18, 2017 in the third-floor Asian galleries. Here, twenty-five paintings, a musical instrument, and photographs highlight aspects of Srimati’s life, which coincided with an awakening of Indian cultural identity at the time of independence as well as a burgeoning awareness of Indian culture in the West. All true, but as a single woman traveling alone thousands of miles from the security of home and family with virtually no money, Y.G. Srimati was courageous and very much a woman ahead of her time. My thanks to John Guy and the Metropolitan Museum of Art for celebrating Y. G. Srimati’s art and life.